With expanding curriculum's and so much content to cover, cross curricular planning is very important. What are some ways you use this in your teaching and has it been effective? Homework must be at least 300 words with proper grammar and image sources. We are here to share ideas because we can learn from each other. We are looking forward to reading your homework assignments! The steemiteducation account was started to bring all educators together on this platform. We believe that education gives us better knowledge of the world around us and it changes the world into a better place. We are a close community and young and old, work together, to share ideas, teach each other, and learn from each other. Every day we search high and low for educational articles to upvote and resteem. Unfortunately, due to the limited amount of SP in our account, we are very limited with the amount of posts we can support. If you want your post to be chosen, please follow the steemiteducation rules. We urge everyone to read these criteria below and be aware of the type of posts that we support! We WANT you to succeed on Steemit and we WANT you to earn money, and that is why we reward GOOD QUALITY posts that meet the criteria below. YOU DON’T EVEN HAVE TO BE A TEACHER! Original content only. This means that you must write an article in your OWN WORDS. All sources need to be cited. If you use any information from the internet, you need to cite the source. All pictures used must have an image source and any post without a proper link to the image source will not be supported. Illegal pictures with watermarks will be excluded. We will not support your post if you have grammar and spelling mistakes, but we will comment if you accidentally made a mistake. Use a proper format when writing an article. All posts will be checked for plagiarism, and if any part of a post is plagiarized in any way, it will be reported to @steemcleaners immediately! We are here to help build the platform, and the sooner we get rid of scammers, the better this platform will improve. Plagiarizers will immediately be banned from the discord channel. If you don't know what to write, please do not ask the moderators for ideas, do the homework for the week. Which type of posts do we support? We support ALL fun educational posts that could be beneficial to YOUNG and OLD! Good quality comprehensions tests with answers. Fiction and fun stories that can be used as reading material in a classroom. Posts about your experiences as a teacher in general/Your experiences in a school as a student. Use the steemiteducation tag for your post to make it visible to us. To be an awesome community we need to support each other daily. Everyone in this community MUST upvote daily and resteem our daily post at least once a week! We all need support from each other, so please spread the word! In a few months we will have a solid community that can rely on each other! Post your link ONCE in the educational links channel. Double links will be deleted. Only post links in the educational links channel of the server. Links dropped in general chat will be deleted! Please do not send links to the inboxes of the curators! This wastes valuable time that we would prefer spending on curating quality posts. Please do not contact the curators and ask them why your post was not selected. We have a limited amount of posts that we can vote daily. If your post is NOT voted, then it either means that we have already found the quota of posts for the day, or your post did not meet the specific criteria. Only one post per user will be voted and resteemed daily. PLEASE USE THE #steemiteducation TAG FOR ALL EDUCATIONAL CONTENT! Steemiteducation does not support plagiarized content. We reserve the right to remove any votes should we discover that any part of your post is plagiarized. If you spot any plagiarism that we accidentally missed, please let us know on discord. Check out our video and get your friends to join @steemiteducation!!! Please follow our steemiteducation trail! Please log into steemauto via steemconnect and follow the steemiteducation trail! Instructions are pinned to the admin announcements in the discord channel. Get those creative juices flowing and provide us with fun and creative posts! With your help, we could change this platform into a virtual classroom! We are looking forward to reading your fun and exciting posts! This is our way of giving back to the Steemit-community who has given us so much more! We have been overwhelmed by the community sending us donations to help support the educational community. We still depend on our income to rent delegation, so please feel free to send us donations out of your own free will, but please make sure to add donations in the transfer memo. A big thank you to every single person who has delegated to us! 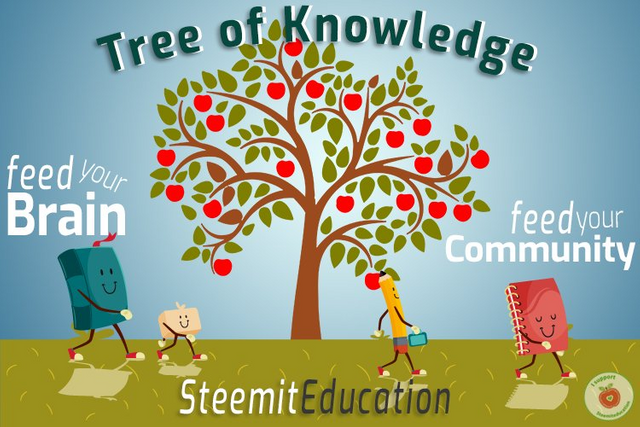 If you would like to support the educational community by delegating to @steemiteducation, please click on any of the following links.